When it comes to PR, many people think it’s just about the press release. Whilst the press release is still an important PR tool, there’s so much more that makes up the fabulous world of PR and media relations. Public Relations can be defined as “the practice of managing the spread of information between and individual and an organisation and the public”. This can be achieved via the traditional methods of press releases and feature articles, as well as the more modern methods of social media and blogging. With so many options available; it’s all about maximising your material across a variety of channels. For example, your PR agency has just issued your latest press release and the coverage across print and online media starts to roll in. Whilst that is great, ask yourself; could you have done more? Remember, there’s more than one way to communicate the same information. Take blogging. Turning your press release into a light-hearted chatty blog is simple. You already have the information and facts; you just need to put a spin on it. Blogs can be uploaded to a dedicated blog or news section on your website, they can be promoted via social media, and even featured in newsletters and company intranets. Blogging also keeps your business current and up to date, and can be a real boost to your SEO. Content from press releases can also be used to create social media posts across various platforms such as LinkedIn, Twitter and Facebook. This can form the basis for topical discussions, as well as engagement and interaction with your audience. But it doesn’t end there… a theme or an idea can formulate from a press release for a more indepth generic article focusing on topical issues and developments within your industry. What better way to increase brand presence and position your company as a voice of authority? 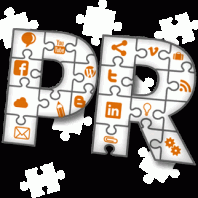 PR is not just about the press release; there are many other ways to communicate the same material. So, when you’re planning your next release, sit back and ask yourself what other communication channels can you use to reach your audience. For added impact, remember to keep it visual and quality over quantity, always! Want to maximise your PR content? Talk to the experts. Give us a call – 0161 973 6763. ← Looking to boost your social media results? Use videos.